Are you looking for Hotels near Dakshineswar Kali Temple? Are you searching hotels phone number near Dakshineswar Kali Temple? Do you want to know where to stay near Dakshineswar Kali Temple? Are you in search of good budget hotels near Dakshineswar Kali Mandir? There are lots of budget hotels to stay near Dakshineswar Kali Temple in North Kolkata. Few Hotels are near to Dakshineswar Kali Temple and few are at Dakshineswar Railway Station & Bus stand area, which is only 100m from main Temple. Red Rose Hotel of Dakshineswar is one of the best hotels to stay at Dakshineswar, North Kolkata. Red Rose Hotel, 5-storied building, is situated beside Dakshineswar Railway Station and bus terminal. Dakshineswar Kali Temple is only 3-5 minutes’ walk and Adyapeath Temple is only 5-10 minutes by Toto / Rickshaw from Red Rose Hotel, Dakshineswar (Kolkata). Now, let's check out the room tariff of Red Rose Hotel, Dakshineswar. Like every other hotels, Red Rose Hotel also has AC and Non-AC Rooms for the guest. AC Room charge at Red Rose Hotel, Dakshineswar is around 1500/- - 2000/- per night and Non-AC Room charge is around 600/- - 800/- per night. Dakshineswar's Red Rose Hotel rooms are provided with fresh pair of clean bed sheets, towels, and a television set for entertainment purposes. Room Service of Red Rose Hotel, Dakshineswar is also very pleasing. Location / Address of Red Rose Hotel, Dakshineswar: - 8 Domestic Area, Dakshineswar Rail Colony, Dakshineswar, Kolkata, Pin-700035. Phone contact number of Red Rose Hotel, Dakshineswar: - 033-2544-4535. There are few restaurants nearby and outside Red Rose Hotel in Dakshineswar. Guests may also get their food delivered to their room as Red Rose Hotel, Dakshineswar also arrange foods to their guests. Red Rose Hotel is a perfect hotel in Dakshineswar for staying with family or spending nights with your friends. You may think it charges a bit high, but considering the location and facilities provided, Red Rose Hotel of Dakshineswar worth the price. Details of Deolo (Delo / Dello Hill) Tourism Complex, Kalimpong – how to go to Deolo (Delo / Dello Hill) Tourism Complex, Kalimpong, best time to visit Deolo (Delo / Dello Hill) Tourism Complex Kalimpong when to go, where to stay at Deolo (Delo / Dello Hill) Tourism Complex, Kalimpong, Hotels lodges guest houses near Deolo (Delo / Dello Hill) Tourism Complex, Kalimpong, How to book Deolo (Delo / Dello Hill) Tourist Lodge (Resort) room online, places to visit near Deolo (Delo / Dello Hill) Tourism Complex, Kalimpong sightseeing tourist spots. All details about Deolo (Delo / Dello Hill) Tourism Complex, Kalimpong. Deolo (Delo / Dello), 1914 m, is the highest point of Kalimpong and offers best view of Kalimpong Town, snow capped peaks and Teesta & Rangeet River confluence on a clear day. One of the most visited tourist places in Kalimpong is Deolo, let's check few more details of Deolo Tourism Complex now. • Significance of Deolo Tourism Complex, Kalimpong: - Let’s check out why Deolo Tourism Complex of Kalimpong is famous (popular) and attracts tourists. Apart from offering excellent view of Kalimpong & surroundings, Deolo Hill is also known as Water Reservoir of Kalimpong sub-division. There are two Water Reservoirs situated on Deolo Hill to provide water to the people of Kalimpong Town. Though the main attraction of Deolo Hill is the Deolo Tourism Complex which is developed on 8-acre of parkland with flower gardens and Deolo Tourist Lodge. From this Deolo Tourism Complex, 5500ft altitude, gives wonderful view all-round. Deolo Tourism Complex is maintained by Gorkhaland Territorial Administration (GTA) under Department of Tourism. Tourists can also stay at Deolo Tourist Lodge or any other hotels nearby and may visit this Tourism complex by car. The excellent view of Kanchenjunga range and confluence of Teesta & Ranget River are worthy enough. 8-acre of Park inside Deolo Tourism Complex is quite tough to walk around. Thus, Horse ride is available inside and in future battery-operated car will be introduced for the tourists. • Deolo Tourism Complex, Kalimpong Entry Ticket Price: - Day visitors, who are coming to visit Deolo Tourism Complex for few hours, require collecting Entry Ticket on payment of Rs.10/- per head [Foreigners Rs.50/- per head] at the entrance gate. Car Parking fee is also there outside charged separately. But, those are staying at Deolo Tourist Lodge (Resort) requires no ticket. • Best time to visit Deolo Tourism Complex, Kalimpong: - Throughout the year people used to visit Kalimpong and also Deolo Tourism Complex as a part of sightseeing places of Kalimpong. But, it’s advised to avoid Rainy (Monsoon) season because of Landslide prone road condition from Siliguri to Kalimpong. • Nearby places to visit from Deolo Tourism Complex, Kalimpong: - These are the other sightseeing spots of Kalimpong near Deolo Tourism Complex – Hanuman Temple, Science City, Pineview Cactus Nursery, Mangal Dham Mandir, Army Golf Course, Tagore House, Haunted Morgan House, Durpin Monastery etc. • How to go to Deolo Tourism Complex? Route map of Deolo Tourism Complex, Kalimpong: - Now, let’s discuss where is Deolo Tourism Complex, Kalimpong and which route to follow to go to Deolo Tourism Complex. Deolo (Delo) is situated at 5500 ft above sea level in Kalimpong sub-division of Darjeeling district of West Bengal (North Bengal). Deolo Tourism Complex is only 8-kms away from Kalimpong Town. Regular share car service is available from Kalimpong Town to Deolo. But to tourists, it’s recommended to book a car (small or big as per requirement) from Kalimpong Town for half day or full day sightseeing. 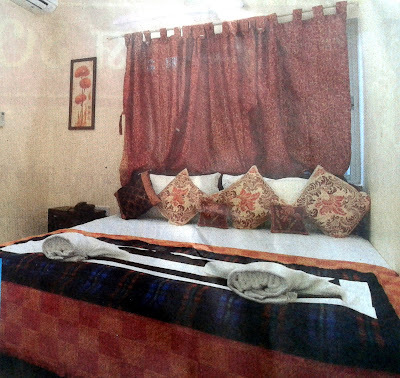 Ground Floor Double Bed Room - Rs.2100/- [Service Tax extra]. 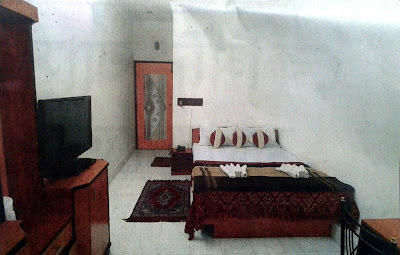 1st Floor Double Bed Room - Rs.3000/- [Service Tax extra]. 1st Floor Suit Room - Rs.4000/- [Service Tax extra]. Room Booking process of Deolo Tourist Lodge of Kalimpong - One can book rooms of Deolo Tourist Resort from Gorkha Bhavan located at Salt Lake, Kolkata. Let's check out How to book Deolo Tourist Lodge (Resort) of Kalimpong Online - Tourists can book rooms online via www.journeyymart.com website. Tourists may also contact directly to GTA Tourism Office in Kolkata to book rooms of Deolo Tourist Resort, Kalimpong. • Address of GTA Tourism Office in Kolkata - 3 Barretto Lane, Kolkata-69. • Phone contact number of GTA Tourism Office, Kolkata - 033-3023-0400 / 9903111000. You may watch small video of Deolo Tourism Complex, Kalimpong and also Deolo Tourist Lodge (Resort). Details of Morgan House, Kalimpong – how to go to Morgan House, Kalimpong, best time to visit Morgan House Kalimpong when to go, where to stay at Morgan House, Kalimpong, Hotels lodges guest houses near Morgan House, Kalimpong, Haunted house in Kalimpong places to visit near Morgan House, Kalimpong sightseeing tourist spots. All details about Morgan House, Kalimpong. Morgan House, made by Mr. & Mrs. Morgan, is a classic example of colonial architecture in Kalimpong (Darjeeling district of North Bengal). It's also known as 'Haunted House' of Kalimpong. However, Morgan House has now been under the West Bengal Tourism Development Corporation Ltd. (WBTDCL) and became a Tourist Lodge. • Significance of Morgan House, Kalimpong: - Let’s check out why Morgan House of Kalimpong is famous (popular) and attracts tourists. Mr. & Mrs. Morgan, a British family, had made their house to live in Kalimpong Hill Station way back. After the death of Mr. & Mrs. Morgan none from their family came to this house for maintenance or staying purpose. After few lonely years, Morgan House became a Lodge for tourists to stay. Since then, tourists felt that someone is there inside and make his/her presence feel. Thus Morgan House knows as Haunted House. If the dilapidated state of the Morgan House wasn’t spooky enough, you’d have thought that the tale of the scorned British lady (Mrs. Morgan) who is said to haunt unknowing tourists would be enough to ensure that people would give the house a wide berth. • Contact number of Morgan House Tourist Lodge, Kalimpong: - Haunted Morgan House is now used as Tourist Lodge in Kalimpong. Tourists want to explore the spooky scary feeling inside Morgan House, may book rooms in Morgan House Tourist Lodge of Kalimpong by contacting West Bengal Tourism Development Corporation Ltd booking office [Phone number: 9733008776]. • Nearby places to visit from Morgan House, Kalimpong: - Haunted Morgan House itself a tourist spot of Kalimpong and other sightseeing places nearby are Army Golf Club, Durpin Monastery, Cactus Nursery etc. • How to go to Morgan House? Route map of Morgan House, Kalimpong: - Now, let’s discuss where is Morgan House, Kalimpong and which route to follow to go to Morgan House. Haunted Morgan House of Kalimpong is situated just opposite of Army Golf Club on the way to Durpin Monastery in West Kalimpong of Darjeeling district in West Bengal. Regular share car service is available from Kalimpong Market to Durpin Monastery that goes beside Morgan House. • Accommodations near Morgan House, Kalimpong: - Now, let’s check out hotels, lodges, or any kind of rooms on rent are available or not near to Morgan House. Haunted Morgan House is itself a tourist lodge in Kalimpong. If you have a soft heart and scared of ghost; then you may choose hotels near to Kalimpong Town avoiding a stay at Haunted Morgan House Tourist Lodge of Kalimpong. Check this small video of Haunted Morgan House of Kalimpong. Tourists may book rooms at Morgan House Tourist Lodge online at www.wbtdc.gov.in. Innra Hotel of Kolkata – is one of the well furnished budget Hotels of Kolkata for the people seeking accommodation in Kolkata. Those who are looking for cheap (budget) Hotels / Lodges in Kolkata to stay should have a visit to Kolkata’s Innra Hotel, located near Bank of India on B.B. Ganguly Street. Sealdah Railway Station, M.G. Road Metro Station, Esplanade & other important places of Kolkata are not too far away from Kolkata’s Innra Hotel, developed by Anjali Estates & Developers. • Innra Hotel Kolkata – Features & Facilities: - Let’s check out few details of Innra Hotel Kolkata below. Well furnished & decorated 18 AC & Non-AC Rooms are there in Innra Hotel Kolkata. LCD Television, Hot Water, Telephonic & Internet connectivity & other common facilities are available in each room of Innra Hotel Kolkata. Excellent Room Service, Laundry Service available at Innra Hotel Kolkata. Complimentary Breakfast is provided by Innra Hotel Kolkata. • Where is Innra Hotel in Kolkata & What is the contact number of Innra Hotel Kolkata? Now, get to know the location of Innra Hotel of Kolkata & want to know the phone number of Innra Hotel of Kolkata. Innra Hotel Kolkata Address (Location): - 124/1, Bipin Bihari Ganguly Street, Bowbazar, Kolkata-12. Innra Hotel Kolkata Phone contact number: - 033-2265-0542 / 033-2265-0526. Innra Hotel Kolkata Email ID: - anjaliestates@gmail.com. If you are looking for the Room Charges of Innra Hotel Kolkata and Check In & Check Out timings of Innra Hotel Kolkata; you are requested to visit www.anjali.biz website. You may call Innra Hotel Kolkata phone number to know more details & to book your room any time. Innra Guest House of Kolkata – is one of the well furnished budget Hotels & Guest Houses of Kolkata for the people seeking accommodation in Kolkata. Those who are looking for cheap (budget) Hotels / Guest Houses / Lodges in Kolkata to stay should have a visit to Kolkata’s Innra Guest House, located beside Sarat Bose Post Office. Kalighat Temple, Rabindra Sarovar, & other tourist places of Kolkata are not too far away from Kolkata’s Innra Guest House, developed by Anjali Estates & Developers. • Innra Guest House Kolkata – Features & Facilities: - Let’s check out few details of Innra Guest House Kolkata below. 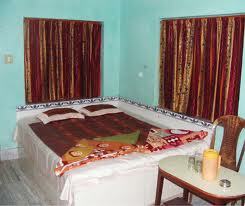 Well decorated 13 number of AC Rooms are there in Innra Guest House Kolkata. LCD Television, Hot Water, Telephonic & Internet connectivity & other common facilities are available in each room of Innra Guest House Kolkata. Conference Room & Banquet Hall for Business conference, special occasion & party. Excellent Room Service, Laundry Service & other services are available at Innra Guest House Kolkata. Complimentary Breakfast is provided by Innra Guest House Kolkata. • Where is Innra Guest House in Kolkata & What is the contact number of Innra Guest House Kolkata? Now, get to know the location of Innra Guest House of Kolkata & want to know the phone number of Innra Guest House of Kolkata. Innra Guest House Kolkata Address (Location): - 209B, Sarat Bose Road, Kolkata-29 [Landmark: Beside, Sarat Bose Post Office]. Innra Guest House Kolkata Phone contact number: - 033-2419-6082 / 033-2419-6085. Innra Guest House Kolkata Email ID: - anjaliestates@gmail.com. 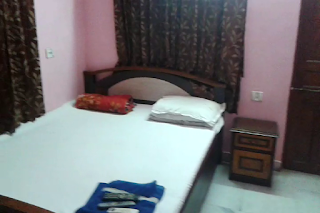 If you are looking for the Room Charges of Innra Guest House Kolkata and Check In & Check Out timings of Innra Guest House Kolkata; you are requested to visit www.anjali.biz website. You may call Innra Guest House Kolkata phone number to know more details & to book your room any time. Kopai Resort of Bolpur, Shantiniketan is the newly added residential place for the people visiting Shantiniketan. Shantiniketan is a small town near to Bolpur in Birbhum district of West Bengal and world famous for Nobel Laureate Rabindranath Tagore. One of the most visited tourist spots of West Bengal is no doubt ‘Shantiniketan’ and thus people requires hotels, lodges & resorts to stay. Keeping this in mind, Saradha Group [Sherwood Hotels & Resorts Pvt. Ltd.] has established their Resort named ‘Kopai Village Resort’ at Shantiniketan beside Kopai River for the people visiting Bolpur-Shantiniketan. 24x7 Room Service, 24x7 Housekeeping, Natural Juice Bar, Multi Cuisine Restaurant, Air Conditioned Room, Refrigerator in every room, OTC Medicine facility, 24x7 Ambulance Service, Parking space, Live Baul Gaan on demand / request, Pick up & Drop facility, Kids Activity area, Pets allowed inside, and many other common amenities are available at Kopai Village Resort of Shantiniketan. 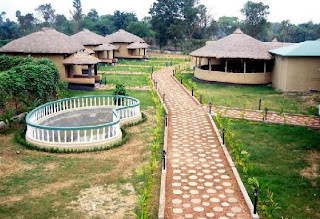 Kopai Village Resort of Shantiniketan is developed in such a way that will make you feel of living in a village. Yes, the rooms & resort compound is developed like a village keeping the exact rural environment. Total of 20 rooms are available at Kopai Resort of Shantiniketan and accommodations are available in Caravan or Camping type. Among these 20 rooms, 4 of them Luxury Cottages [AC / Non AC] and other 16 are normal rooms. The room charges at Kopai Resort of Shantiniketan is not beyond our limit; room charge is around Rs.2000/- or just above per day. Where is Kopai Resort of Shantiniketan? What is the exact location / address of Kopai Village Resort of Shantiniketan? Bolpur Suri Road, Village: Kendradangal, P.O. : Sattore, Shantiniketan, Bolpur, Pin-731236, Birbhum, West Bengal. How to book rooms of Kopai Resort of Shantiniketan? You can Book Rooms of Kopai Village Resort of Shantiniketan by a phone call and for Telephonic Room Booking please call 03436510876 / 9233512355 phone numbers. If you want to Book Rooms of Kopai Resort, Shantiniketan manually then visit Koapi Village Resort Booking Office of Durgapur [Address: - Durgapur Zonal Office, Saradha Group, City Residency Building, 3rd Floor, City Centre, Durgapur-713216]. So, next time when you would visit Bolpur – Shantiniketan then don’t forget to book rooms at Kopai Resort because the flavour of village won’t be available at any other hotels or resorts in Shantiniketan, Bolpur, Birbhum locality. Digha is one of the best beach tourist spots of West Bengal along with Sankarpur, Tajpur, Mandarmani etc. Thousands of tourists visit Digha [New & Old] every month. Old Digha is the best destination to stay during your tour because of the Digha Market, Digha Bus Stand and also Digha Sea Beach. Tourists who are planning to visit Digha Sea Beach always try to book hotel rooms in Old Digha because of transport facility. There are so many small & large hotels, low & high budget hotels, AC & Non-AC hotels are available at Digha for the tourists. Hotel Dreamway of Old Digha is one of those Hotels that are cheap but with all facilities. Digha’s Hotel Dreamway, a unit of Dreamway Group, is located at Old Digha nearby Digha Main Road & not far from Sea Beach. Dreamway Hotel & Resort of Old Digha has single bedroom, double bedroom, triple bedroom categorized rooms that are well decorated and has television, hot water & other facilities. The room charges of Hotel Dreamway of Old Digha varies depending on Room category and touring season. Tourists those are seeking Hotel Rooms at Digha are requested to book their Rooms at Digha Hotel Dreamway by calling 9230765379 / 9735717110 / 9564276919 phone numbers. Are you looking for Hotels nearby Chandrakona Road, Satbankura areas of West Medinipur district of West Bengal? Do you want to know the best hotel to stay at Paschim Medinipur? Chandra Prayag Hotel West Medinipur is the only Star Category Hotel in Paschim Medinipur established by Prayag Group. Chandra Prayag Hotel West Medinipur is a boutique Hotel with 60 elegant Rooms situated amidst major seaport & industrial city and the river side is a favorite destination for resident. Multi-cuisine restaurant & Bar available at Chandra Prayag Hotel West Medinipur. Indoor Function / Meeting Hall / Conference Hall available to organize Cooperate & family events in Chandra Prayag Hotel West Medinipur. Open Banquet facility for 1000 pax at Chandra Prayag Hotel West Medinipur. 24-hours Room Service, Laundry, Doctor on Call, Television etc amenities are available at Chandra Prayag Hotel West Medinipur. Prayag Film City Tour package on demand available at Chandra Prayag Hotel West Medinipur. Business Class Single AC Room charge is Rs.2000/- at Chandra Prayag Hotel West Medinipur. Business Class Double AC Room charge is Rs.2500/- at Chandra Prayag Hotel West Medinipur. Standard Single AC Room Charge is Rs.1500/- at Chandra Prayag Hotel West Medinipur. Standard Double AC Room Charge is Rs.2000/- at Chandra Prayag Hotel West Medinipur. Standard Single Non-AC Room Charge is Rs.1000/- at Chandra Prayag Hotel West Medinipur. Standard Double Non-AC Room Charge is Rs.1200/- at Chandra Prayag Hotel West Medinipur. The Check-in & Check-out time is 12noon and the Tax is extra (to be added). Break Fast is included and Room Charges may get changed without any prior notice. • Where is Chandra Prayag Hotel West Medinipur? Address of Chandra Prayag Hotel West Medinipur: - Chandrakona Road, Satbankura, Garhbeta, Paschim Medinipur, Pin-721604, West Bengal. Phone contact number of Chandra Prayag Hotel West Medinipur: - 03227283951 / 9674745864. • How to Book Rooms of Chandra Prayag Hotel West Medinipur? If you are planning to visit Prayag Film City and want to spend few days there then you are advised to Book your Rooms first because there is no other Star category hotel available at West Medinipur. You just need to visit www.prayaghotels.com/chandraprayag.html to Book Rooms of Chandra Prayag Hotel West Medinipur Online. You can write your queries to chandrakonaprayag@yahoo.co.in email ID as well. Basera Guest House Kolkata provides best accommodations to them who are looking for contemporary amenities with best services in Kolkata. Basera Guest House Kolkata is an Anjali Estates & Developers initiative. Basera Guest House Kolkata is located at Southern Avenue (South Kolkata) and about 30Kms Dumdum Airport, 7Kms Sealdah Railway Station for train route. 1. Basera Guest House Kolkata offers services like laundry, airport / railway station transfer (on Request Chargeable Services). 2. Room Amenities provided Basera Guest House Kolkata like Air Condition, Television, Intercom, Tea / Coffee Maker, Daily Newspaper, Geyser in Bathroom, Hot / Cold Water, and Bathroom Toiletries. 3. Basera Guest House Kolkata offers exclusive services like Refrigerator, Sofa Unit in Suite Rooms. 4. The Basera Hotel Kolkata offers accommodation in 2 categories Suite and Double. It also offers room service between 6am and 10pm. Food is served through room service. 5. Basera Hotel Kolkata Check-In Time: 12PM and Check-Out Time: 12PM. 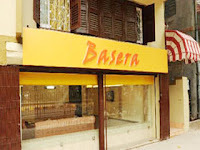 • Basera Guest House Kolkata Address / Location: - 128C, Meghnad Saha Sarani, Southern Avenue, Kolkata-29. • Basera Guest House Kolkata Phone Contact Number: - 9830575049 (Mr. Nilanjan Bhattacharjee), 033-24198653. You may book Basera Hotel rooms online at www.anjali.biz and please write to anjaliestates@gmail.com if you have any queries regarding Basera Hotel Kolkata. Hotel Anubhab of New Digha is one of the best Hotels in New Digha for spending your holidays at Digha. The room charges are not in higher side and also the location of Hotel Anubhab helps tourists a lot. 1. The location of Hotel Anubhab of New Digha is very helpful to the tourists as the Digha SBSTC Bus Stand and the Digha Railway Station is just few minutes from the hotel. 2. Check In and Check Out time of Hotel Anubhab Digha is 9:30am, which is appropriate if we see the Train arrival or Bus arrival times at Digha. 3. The Hotel Anubhab Digha Room Charges are varies depending upon Single, Double, Triple and dormitory rooms. 4. Attach Bath, TV are there in every rooms of Hotel Anubhab, Digha. • Hotel Anubhab Digha Address Location: - Digha New Township, Purba Medinipur, West Bengal. • Phone Contact Number of Hotel Anubhab Digha: 9732750072. It’s recommended to the tourists visiting Digha to book their rooms in advance. Tourists making a trip to Digha can stay at Utsab Hotel at Old Digha and also can book their Hotel Rooms at Digha from anywhere in India by a phone call. The Restaurant Utsab of Digha serves quality Indian, Chinese and Seafoods at cheap price. • Address Location of Utsab Hotel Restaurant Old Digha: Rajbari Complex, Old Digha, Purba Medinipur, West Bengal. • Phone Contact Number of Utsab Hotel Restaurant Digha: 9434385651 / 03220266057 03220266649. The proprietor of Utsab Hotel and Restaurant Digha Sri Bhabesh Chandra Das (Gold Medalist) is a LIC Agent of Egra Branch (Code No.1075/43F). So, peoples of Old Digha, Egra, Ramnagar area of Purba Medinipur willing to start LIC Insurances may contact LIC Agent Bhabesh Chandra Das. Have you planned to visit the most beautiful Sea Beach of Bengal Mandermoni to enjoy your free weekend days? Do you want to know where to stay at Mandermoni during your short weekend tour to Mandermoni nearest Sea Beach from Kolkata / Howrah? Don’t get confused with the accommodations at Mandermoni Sea Beach Tourist Spot in Bengal because there are so many small and big Hotels, Resorts were developed these days to cop up the pressure of tourists accommodation at Mandermoni Beach Tourist place in Medinipur Bengal. Kings Crown Hotels in Mandermoni is one of the best places to spend your day-night at a cheap and affordable Room Rent Charges in Mandermoni. Exclusively developed with the greenish lawn, Swimming Pool, Banquet Halls, and well furnished Rooms of Kings Crown Hotel, Mandermoni will make you feel like your own home. Kings Crown Hotel Mandermoni has its own Restaurant and bar attached to serve quality foods along with Whiskey, Bear to the tourists of Mandermoni. Visitors may book rooms from Kolkata Office of Kings Crown Hotels prior to their visit to Mandermoni Beach Spot. You all can book rooms at Mandermoni Kings Crown Hotel from Kolkata’s registered office (Phone number – 033 2573 9294 / 6536 0477). To know Mandermoni Room Charges Costs details please visit www.kingscrownhotel.com website. There are so many Hotels and Restaurants in Digha Beach Tourist spot of Bengal; but the oldest restaurant is Purbasha Hotel of Digha. New Purbasha Hotel & Restaurant, Digha is located at the heart of Old Digha and have the Foodings & Lodging facilities for the Digha Tourists. New Purbasha Hotel & Restaurant, Digha Foodings is best served in Digha. New Purbasha Restaurant, Old Digha serves Veg & Non-Veg delicious dishes of starting from Breakfast to Dinner. Starting from Indian Food, Chinese, South Indian, Bengali Foods and other dishes all are available in Meal System or in Plate categories. New Purbasha Hotel & Restaurant, Old Digha is a non-AC restaurant and also don’t accept Credit / Debit Cards for payment. But the quality they serves that brings customer most of the time. Lodging facility of New Purbasha Hotel, Digha is also quite fantastic. There are many types of rooms like dormitory, double bed, four bedded etc on different charges per room in Digha. Please call 03220-266-284 for Digha Hotel Room Booking.